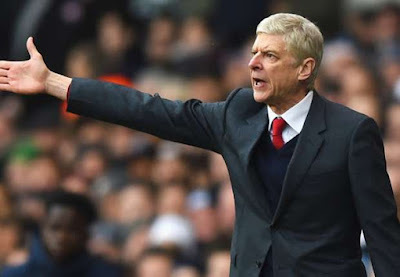 Arsenal manager Arsene Wenger is now the longest serving manager in Europe after Ronnie McFall brought his incredible 29-year stay in charge of Portadown to an end - leaving Arsene Wenger as the longest-serving manager in European football. McFall, who was set to leave the club at the end of the season, resigned minutes after his side's shock Irish Cup quarter-final defeat to Championship outfit Lurgan Celtic. 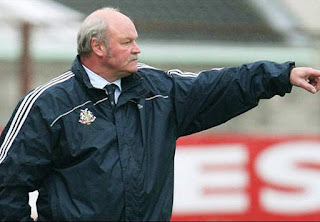 The 69-year-old took charge at Portadown in December 1986 - the same year Sir Alex Ferguson took over at Manchester United. Ferguson stepped down at Old Trafford in 2013, leaving McFall as the longest-serving manager in Europe until his decision to step down on Saturday. That honour now belongs to Wenger, who has been at the helm at Arsenal since October 1996 and is in his 20th year as Gunners boss.